All About Hypothyroidism Myxedema | Crank It! Hypothyroidism myxedema is a very advanced stage of hypothyroidism and is a real medical emergency. Unfortunately diagnosis and beginning treatment at this stage of the disease does not have a good long term prognosis. Indeed there is a greater than 60% chance that once the disease has progressed to the myxedema coma stage,the patient will die from the disease. Fortunately, whilst hypothyroidism is common, this advanced stage is not so common. Also, if a patient does go into a hypothyroidism myxedema coma, it’s typically during the winter season. Low blood levels of sodium may also occur and anaemia may also be present. Diagnosing hypothyroidism is most accurately done via thyroid function tests that test for blood levels of TSH, T3 and T4. As previously mentioned, myxedema is a very advanced stage of hypothyroidism. Most patients suffering from the disease will have sought medical assistance long before they get to this stage. Nevertheless, it can happen and patients who have developed this acute level of hypothyroidism require very precise and vital medical care. Common treatments for myxedema coma include supportive care such as ventilation to help them breath along with warmth to raise their core body temperature. Antibiotics may be administered to ward off potential infection or until it’s established there is no infection present. Thyroid hormone replacement therapy is also administered. This is usually done intravenously, at least to begin with, because patients at this stage of the disease are often unable to absorb oral thyroid medications. 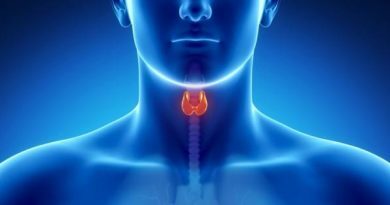 The patient may be given the more metabolically active T3 thyroid hormone in addition to the standard T4 therapy. Normally we convert T4 to T3 in our bloodstream but in myxedema coma patients this process is often impaired. It can also take several weeks for T4 therapy to start working so the T3 is given to bridge this gap. This type of treatment needs to be carried out by an endocrinologist (thyroid specialist) because of the complexity of the condition and the complications that can arise. For instance, replacing these hormones too quickly can create stress for the heart and cause arrhythmias, especially in aged patients. Someone with hypothyroidism myxedema may experience moodiness, short breath and perhaps swelling in hands and feet. 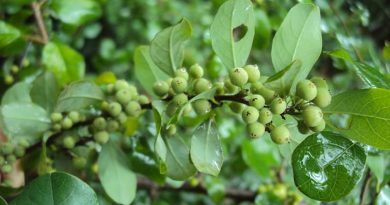 They may also be restless, lethargic, depressed, have difficulty sleeping, experience weight gain, feel unexplained pain in various areas of their body, and lose eyebrow and scalp hair. Hypothyroidism can also affect the gastrointestinal system, leading to other associated health problems. If you suspect you may be suffering from hypothyroidism you must seek medical attention sooner rather than later. This is not a disease to be ignored or messed around with. The prognosis when caught early is excellent but if prescribed medications are not taken, the condition will worsen and potentially develop into hypothyroidism myxedema. Therefore, the simple and short answer to how best to prevent hypothyroidism escalating to myxedema is to take your prescribed medications as directed! The thyroid requires iodine for the manufacture of the thyroid hormones T3 and T4. Whilst iodine deficiencies are rare in developed countries they are nonetheless more prevalent than they used to be. One reason is the discontinued use of iodine to clean milk vats and milk processing equipment. The iodine residues left in the equipment were absorbed by the milk and found their way into the finished products, providing a good source of iodine. 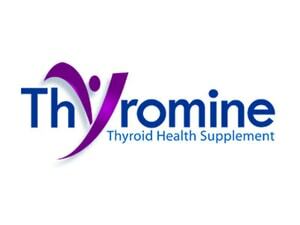 There are other good sources of dietary iodine available or you could consider a thyroid supplement like Thyromine. Seafood is particularly rich in iodine and many products like breads and iodized salt are fortified with iodine. You don’t need much though. The recommended daily intake for teenagers and adults is 150 micro grams per day. Children under 9 years of age should have 90 micro grams per day and those from 9 – 13 need 120 micro grams per day. Pregnant and breastfeeding woman require more. When you visit your doctor he (or she) will order certain blood tests in order to establish your level of thyroid activity. If the results indicate hypothyroidism, they will discuss treatment options with you. This will include both dietary considerations as well as medications. Once beginning treatment for hypothyroidism it is essential that you take your medications as prescribed and go for regular check ups.